The best Elizabethan houses were full of the confidence and flamboyance of their prosperous age, These three amazing places are among the best examples of the period left in England. And they are open to visitors. 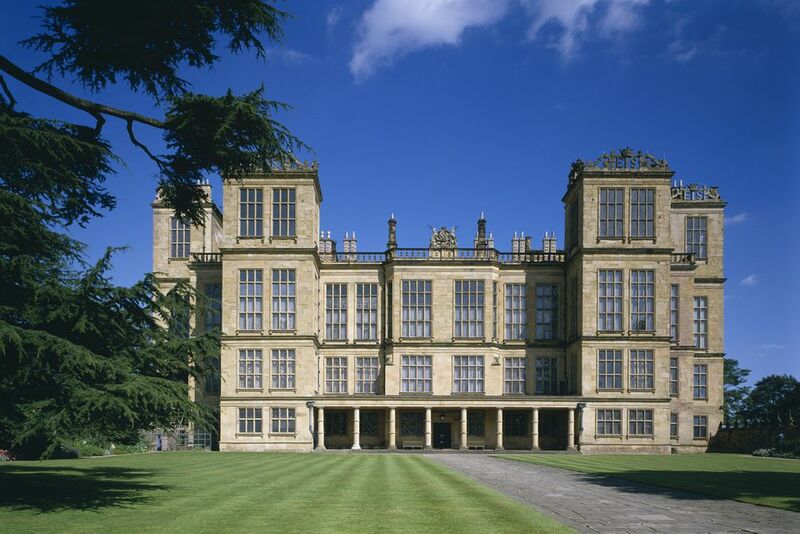 The Elizabethans were prosperous and the houses they built showed off their wealth. The motto of the era could have been, "When you've got it, flaunt it." The period was one the high points in English domestic architecture. The intrigues, beheadings and economic doldrums of the court of Henry VIII were followed by the short reign of Mary Tudor. She was known as Bloody Mary for her penchant for creating Protestant martyrs. So by the time Queen Elizabeth I ascended the thrown for a reign marked by stability, prosperity and growing confidence, people reacted as if a great weight had been lifted from them. Rich landowners, at last, felt free to express themselves and built magnificient houses to show off their wealth and power. The best houses incorporated plenty of glass (not a new technology but an expensive one), an extraordinary degree of ornamentation and more rooms for comfortable living - sitting rooms flooded with light, for example. Architecture was not yet a recognized profession. Houses were designed by surveyors and master masons. Robert Smythson, Master Mason to the Queen was a builder much sought after whose style defined the stately manors of the age. These three Smythson houses, all open to the public, are among the best examples of his work. Burton Agnes Hall, near Beverley and the coast in East Yorkshire, is one the few houses for which Smythson's plans still exists, kept in the library of the Royal Institute of Architects (RIBA). The Elizabethan house was built on an estate that dates from the 1100s and that has been in the same family (changing hands only by marriage) for more than 800 years. the Long Gallery - a type of room that made its first appearance in Elizabethan houses. The Long Gallery was the place where ladies of the house could take their exercise - essentially walking back and forth while gossiping - in bad weather. Facilities for visitors include a lovely walled garden and a woodland garden with wildlife sculptures; a very good, reasonably priced cafe and a house and garden shop. The regular schedule of events includes a jazz festival at which Simon Cunliffe-Lister, the current occupant, has been known to play his sax. Hardwick Hall, more glass than wall is a saying that quickly grew up around the house Smythson built for serial widow and fabulously wealthy 16th century celebrity Bess of Hardwick. The house's massive windows, lit by candlelight from within, could be seen, like a lantern on a hill, for miles around. The windows were designed to bring light and views of the Derbyshire countryside into the house. Unlike earlier manor houses, which tended to turn their back on the countryside and open - if at all - into inner courtyard spaces, Elizabethan houses, for the first time, addressed nature and the outside world in a more direct way. Bess of Hardwick, a woman from a modest background who married up, outlived four husbands, accumulating fortunes, land, jewels and houses with each widowhood. She was also a shrewd businesswoman in her own right as a moneylender, property dealer and investor in iron works, coal mines and glass works. As befits the home of such a much married woman, Hardwick Hall, now owned by the National Trust, is licenced for weddings. Longleat House, one of Smythson's earliest projects and the first of the so-called "inside-out" houses, was completed around 1580. Queen Elizabeth I was a guest there in 1574 even before it was completed. Today the house, owned by the colorful 7th Marquess of Bath, is at the centre of a Wiltshire estate that's home to one of Britain's most famous family attractions - Longleat Safari Park. If you don't have children in tow - for the Safari Park, wildlife shows, maze, and adventure park - it is possible to visit the house and gardens on their own (though you don't need to bring children to enjoy Longleat's famous lions, tigers and monkeys). Longleat is known for its elaborate ceilings, most of which were added after the Elizabethan period, and for the murals painted by the current Lord Bath, which can be visited on a separate tour. The Great Hall remains the most authentically early part of the house with a typically ornate, deeply carved Elizabethan chimneypiece. If you do visit the house, look for one particularly grisly souvenir of the early 17th century - the bloody under vest worn by King Charles I to his own beheading.